Laurie Lengyel was born in 1935 in Waterbury, Connecticut. 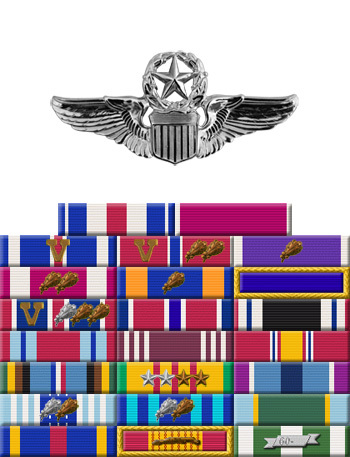 He enlisted in the Aviation Cadet Program on January 24, 1957, and was commissioned a 2d Lt in the Massachusetts Air National Guard and awarded his pilot wings at Greenville AFB, Mississippi, on July 23, 1958. He flew with the Massachusetts ANG until April 17, 1964, when he went on active duty with the Air Force. During his time in the Guard, Lengyel was activated during the Berlin crisis and deployed to Phalsbourg AB, France, from October 1961 to August 1962. 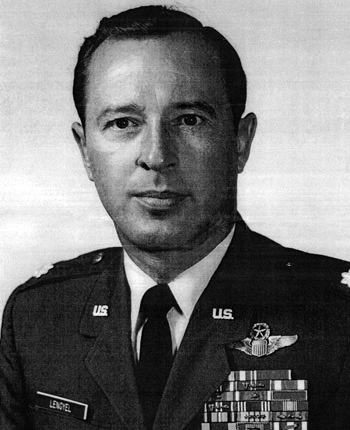 Lengyel served as a gunnery instructor with the 4521st Combat Crew Training Squadron at Nellis AFB, Nevada, from April 1964 to October 1966. After completing RF-4C Combat Crew Training, he transferred to the 22nd Tactical Reconnaissance Squadron at Mountain Home AFB, Idaho, where he served from November 1966 to May 1967. Capt Lengyel began flying combat missions in Southeast Asia with the 16th Tactical Reconnaissance Squadron at Tan Son Nhut AB in the Republic of Vietnam in June 1967. He was forced to eject over North Vietnam while flying his 40th combat mission on August 9, 1967, and was immediately captured and taken as a Prisoner of War. After spending 2,044 days in captivity, Capt Lengyel was released during Operation Homecoming on March 14, 1973. He was briefly hospitalized to recover from his injuries at Westover AFB, Massachusetts, and then began flying C-141 Starlifters with the 86th Military Airlift Squadron at Travis AFB, California, from December 1973 to August 1976. During this time, Lengyel flew combat airlift missions in support of the fall of Saigon in 1975, making him one of only two Vietnam POWs to fly missions in Vietnam after repatriation in 1973. He attended Air Command and Staff College at Maxwell AFB, Alabama, from August 1976 to June 1977, and then served as an instructor pilot training German pilots in the T-37 Tweet at Sheppard AFB, Texas, until April 1980. Col Lengyel then served as Chief of Operations at Headquarters Air Training Command at Randolph AFB, Texas, from April 1980 to January 1982, when he became Commander of the 12th Student Squadron at Randolph. He served as Assistant Deputy Commander for Operations at Randolph from July 1982 to February 1983, and then joined the MAC Detachment at Randolph, where he flew T-39 Sabreliners and C-21's until his retirement from the Air Force on July 31, 1990. Laurie and his wife Marge have four children-Joe, Greg, Dan, and Toddy.